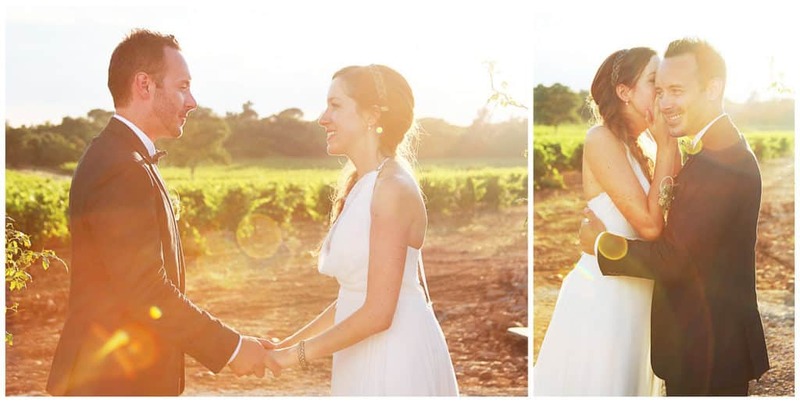 How to choose your destination wedding photographer? Your one and only has finally popped the question and you’ve celebrated your engagement with your friends and family… it’s happening: you’re getting married! Before your big day, you’re going to be very busy. Whether you’ve hired a wedding planner or not, you’ll be the ones to choose the vendors that will accompany you on your wedding day. One of the most important vendors you’ll have to choose is your photographer, or team of photographers if you’re excepting many guests. If you’re reading this, you’re probably wondering how to make such a delicate and highly important decision. After all, this person will be in charge of capturing all the memories of the most important day of your lives! As a professional photographer, I have shot dozens of weddings over the past 10 years. I’m going to share with you all the questions you should ask yourselves and what you should ask your photographer to make sure you are making the right choice. 1. Are you in love with their photographic style? In order to define the style you want for your wedding, try using Pinterest! This virtual pin board will help you visualize and save all your favorite images, giving you a general vision of what you want for your own wedding. You can also explore instagram and save the pictures you love. 2. Do you have chemistry? Your photographer is the person you’re going to spend time with the most on your wedding day! Their mission will include closely following you around to make sure their don’t miss anything on your big day. It is essential that you feel comfortable with this person and the presence of the camera. For shy people, it can be daunting to spend an entire day being the center of attention and to be photographed all day long by a stranger. I share a lot about my story and my personnality on my website because I love to connect with people. By spending time with your photographer and getting to know them, you’ll develop a friendship that goes way beyond the usual vendor-client relationship and you’ll be able to relax and enjoy your day to the fullest, creating wonderful images together. The same goes for your family and friends, who will loosen up and be themselves in front of the camera. 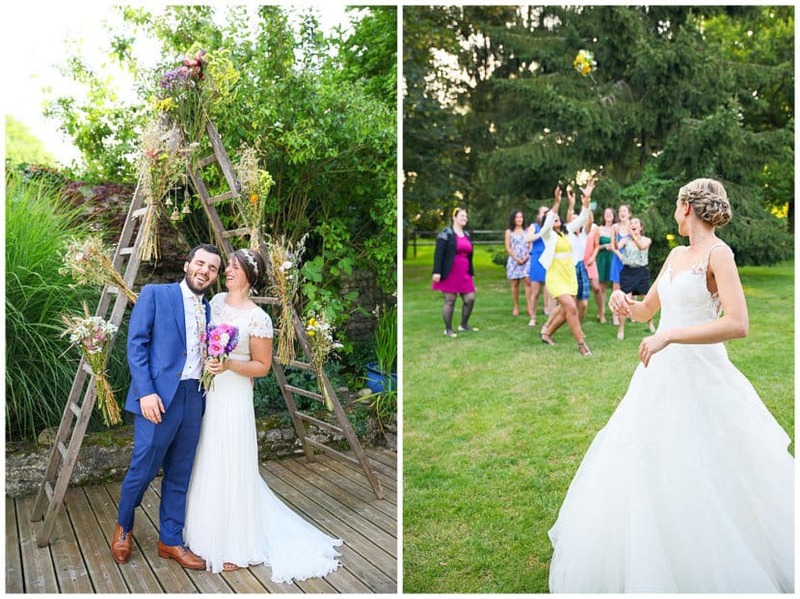 The result: spontaneous shots with real emotions and a joyful day for all! It seems obvious, but good commercial skills can make you forget that photographing a wedding is a difficult task. I think it’s one of the thoughest photography fields, as it requires so many skills: foresee and plan ahead as you never know what can happen, react quickly, be experimented enough to know where to stand and use the right settings to to get the best shot, sensitivity to truly appreciate and capture this beautiful moment, discretion not to disturb the ceremony, but great social skills to capture real emotions… There are few diplomas in this field so many wedding photographers are self-taught. To make sure a photographer is experienced enough, you can also check what past clients thought of them by reading reviews. Also note how many weddings they show when you look through their portfolio. The more, the better! In addition to their portfolio, which includes their very best work, ask to see a full wedding gallery so you get a real feeling of what you’ll get with them. These pictures are ABSOLUTELY breathtaking! We have only showed a couple of people and they were literally in tears!!! I just wanted to let you know how wonderful you were to work with – you made our wedding day perfect! Thank you so much for everything. If you are ever in this part of the world, let us know and we’d love to show you Baltimore/DC. Again, thank you so much and I hope we have the opportunity to work with you in the future!!! You'll want them to capture your exit of the ceremony perfectly! 4. How do they work on a wedding? This is also a very important question to evaluate their experience level. In addition to knowing how they work, you can ask your photographer how they got a specific shot for example. I personally love to share anecdotes about weddings I've shot, so I'm sure they would be keen to talk about that too. Additionally, some photographers (myself included) will offer to meet again after the initial wedding consultation to talk about your wedding in details or to visit the wedding venue together. All these steps are essential and shouldn't be neglected. 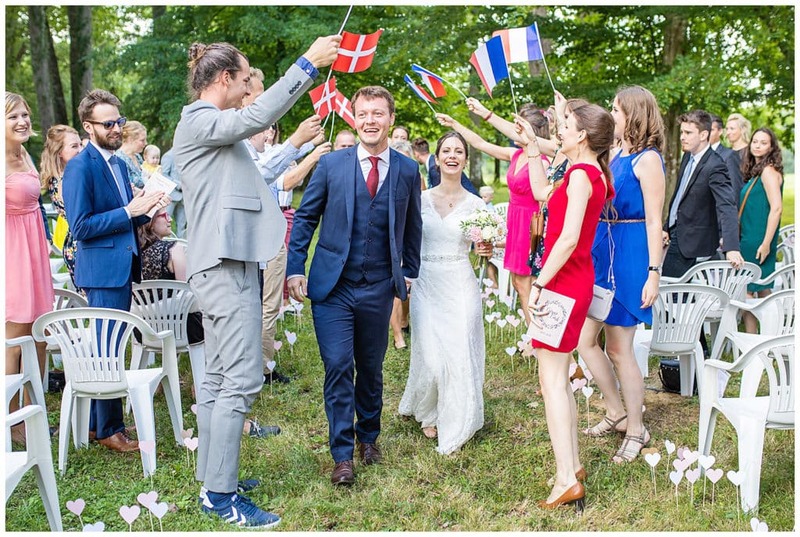 Another important thing to consider if you're planning to get married in a different country (in France for example) or have international guests in attendance: do they speak other languages fluently? 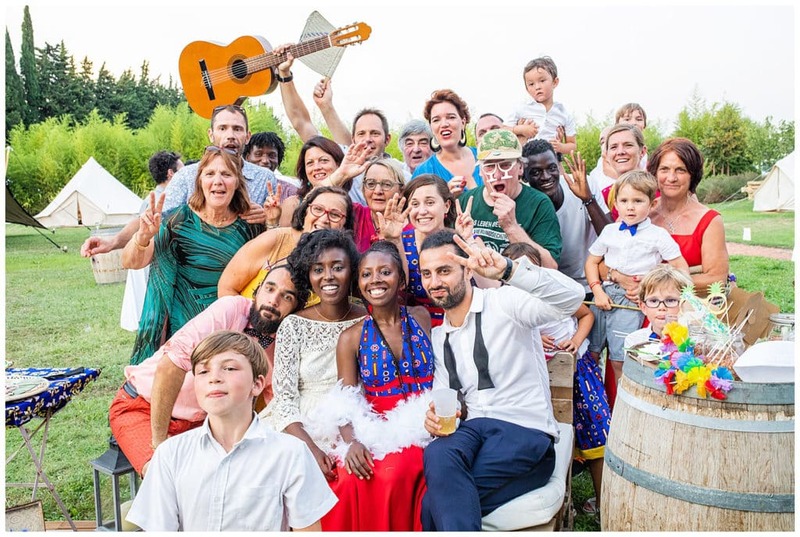 You'd think it's not that important, but I've shot quite a good amount of destination weddings and elopements in France with various nationalities and being fluent in English was so comfortable! For me as a photographer so I could listen to what was said and pick up on last minute changes etc... but mostly for the guests who didn't have to make an effort to communicate with me. Plus, I love speaking other languages (and teach some French too)! 5. What's included in their collections and what's not? Each photographer has their own terms and conditions so make sure to ask about their travel fees, ask if you'll be able to share your gallery with your guests, download photos for free and order prints easily, how many photos you'll get as it can vary a lot between photographers, if you'll get color photos only or duplicates in black and white also or a mix of both, what time they'll start and end photography on your wedding day, how much are extra hours etc... all of these questions will influence on your final choice. 6. What are their rates and how to book them? You'll surely have a specific budget alloted to photography, but if you fall in love with a photographer's work and it's a little over your maximum investment, ask yourself if that person isn't worth an extra couple hundreds. These pictures will carry the memory of your wedding for decades, it would be sad to settle for someone you didn't click with as much. Still, you should feel like it is worth such an investment in regards to all of the above. Read their contract carefully to make sure you are on board with all their terms and conditions, including the cancellation policy, date change and the payment plan. I hope this article helped you in making this important decision. 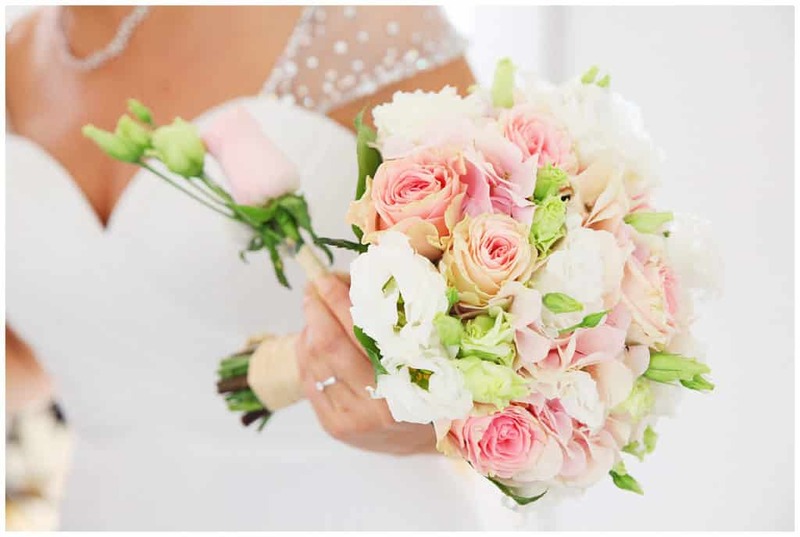 If you'd like to know more about how I work on weddings, ask for a real life or skype consultation and get my wedding collections brochure, get in touch with me here! 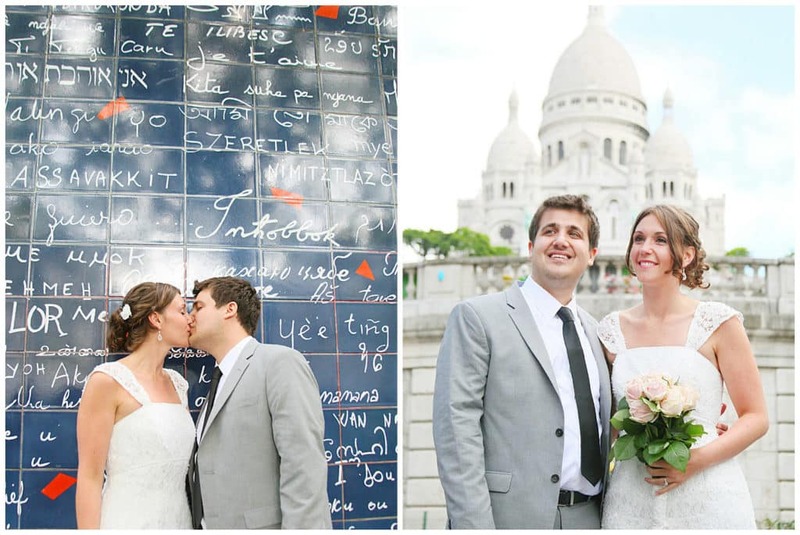 Have you ever dreamed of getting married in the city of Love? 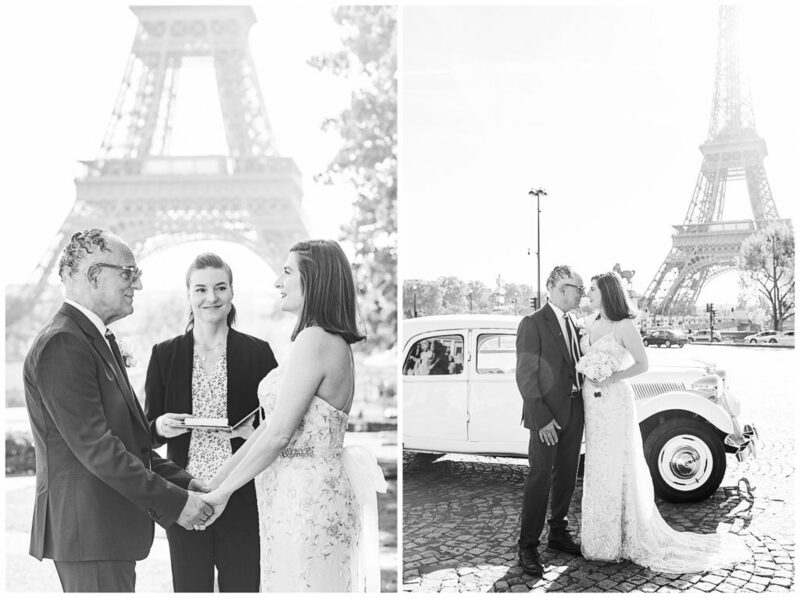 Paris is one of the most romantic places in the World, and what could be more magical than an outdoor ceremony by the Eiffel Tower? 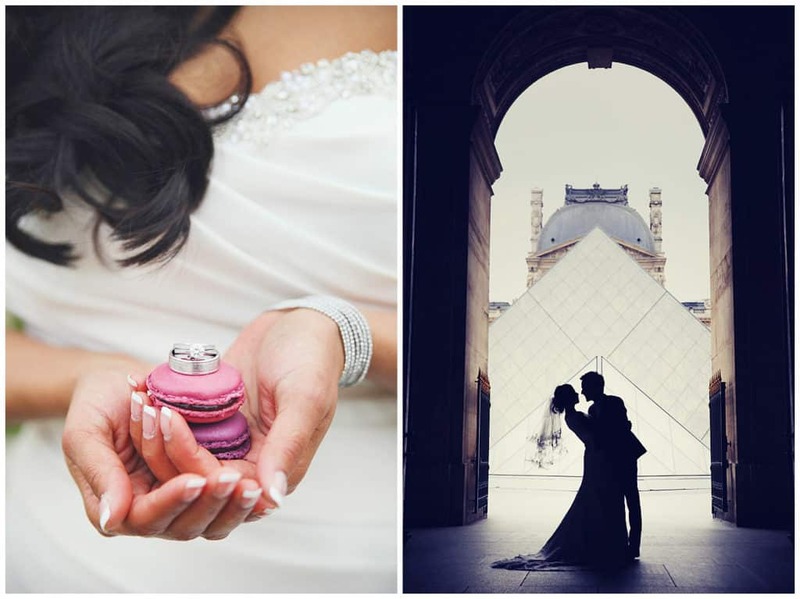 Eloping to Paris is easy with the right english speaking vendors (like me and my partnering vendors) and some thoughtful planning (there are wedding planners specialized in elopements and destination weddings!). Imagine: having croissants and café au lait in one of the thousands of cafés in Paris while people watching, then cruising the Seine river to enjoy the sights of Notre Dame Cathedral, the Eiffel Tower and the Louvre Museum, having croque monsieur for lunch at a bistrot, discovering talented artists in Montmartre, shopping on the Champs Elysées, stopping for some delicious macaroons at LaDurée, watching the sunset from the top of the Montparnasse Tower, and having dinner at the Moulin Rouge cabaret... need I say more? 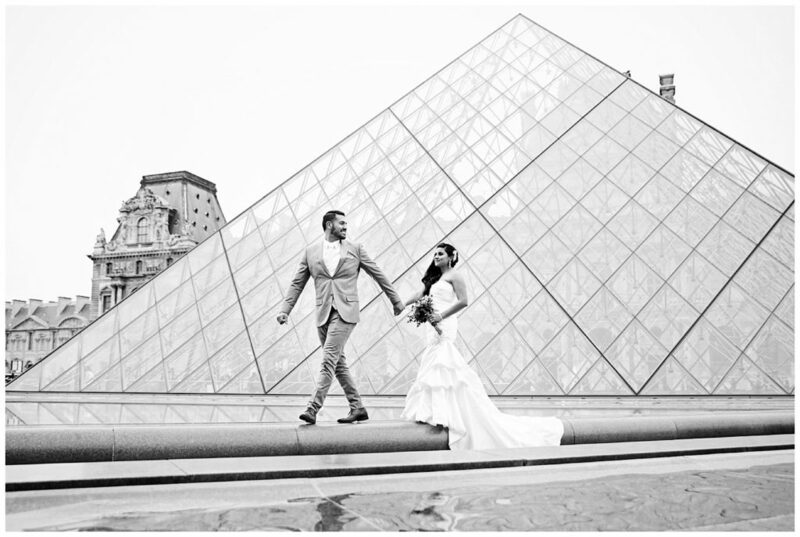 Your Paris elopement can be taylored to your desires thanks to the amazing wedding planner I'm working with, Ceremonize. A hair and makeup artist to help you become a real life princess, a beautiful bouquet of fresh flowers delivered to your hotel room, a vintage car to drive you to the ceremony location of your choice, which will be performed by a talented officiant, maybe have some musician accompany you as well... then we'll take some portraits during a personalized Paris photo tour to make sure the memories of your special day are captured forever. For your loved ones who couldn't attend, it'll feel as if they were there! 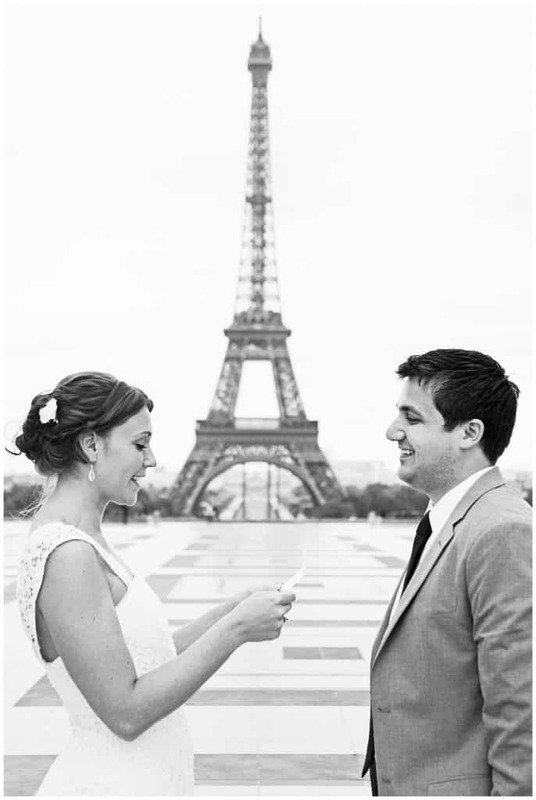 You could choose to have your elopement by the Eiffel Tower, in a park, in a religious building (such as the American Church in Paris), or even inside your hotel in Paris. Thank you so much!! We are so happy with our pictures, whenever we hear one of our friends or coworkers are going to Paris we always recommend you!! Thanks so much for capturing our one in a lifetime day! Are you looking for more of a nature setting? 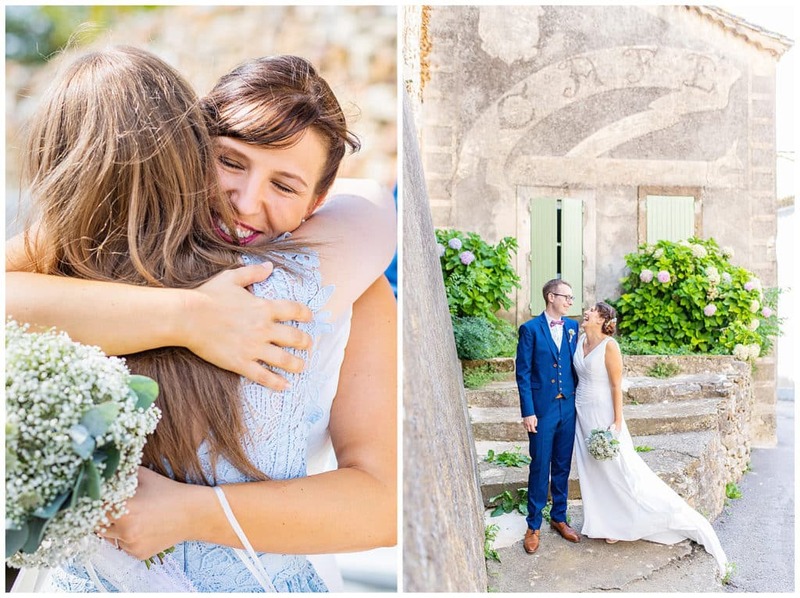 Since I'm also based in the South of France, I also photograph elopements in Provence... Are you dreaming of the cicadas song, the lavender scent and the warm sun on your skins during your vows exchange? Well, Provence is the place where you should get married then. 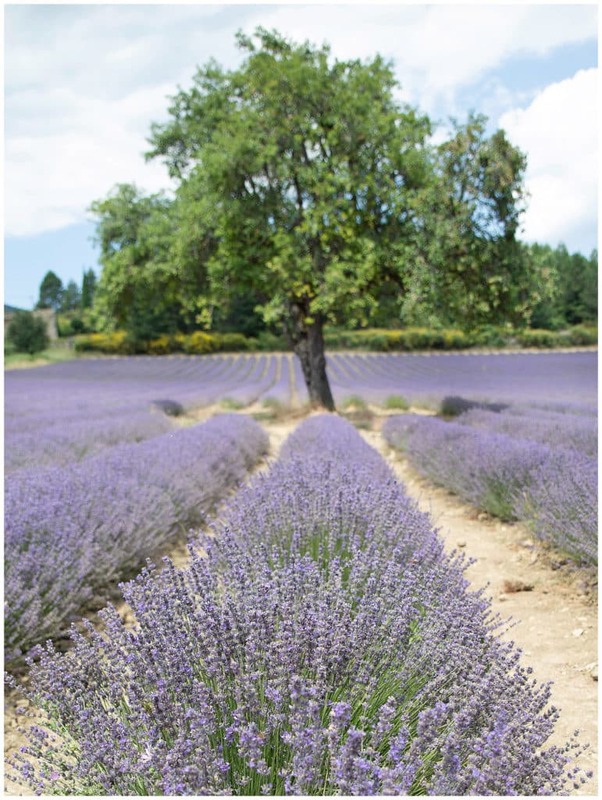 Many options there as well: the endless lavender fields in Valensole or Sault, the magnificent olive trees and Alpilles mountain range, the gorgeous provençal villages in Luberon, the vines in Châteauneuf-du-Pape, the wild beaches in Camargue, old chapels and castles... you name it! 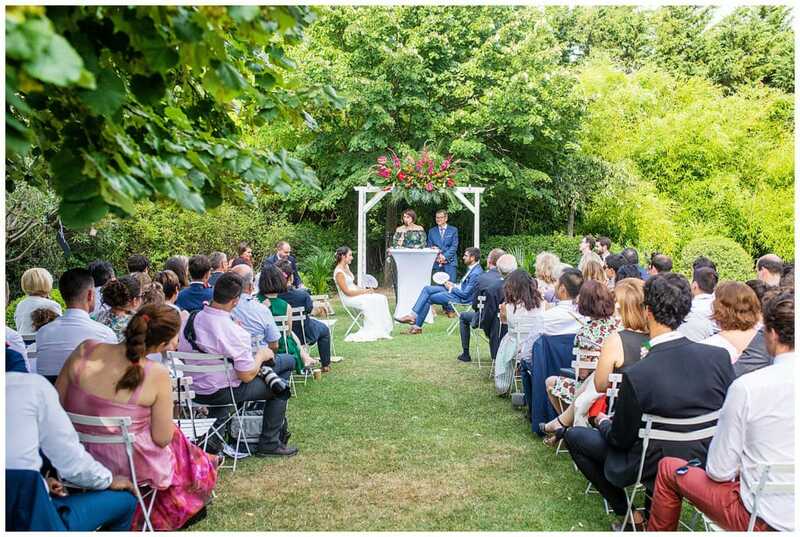 Even if you're already married, you can experience the magic of a France elopement to celebrate a wedding anniversary or to renew your vows for example. It will be my pleasure to be the witness and creator of the souvenir of your celebration of love à la française. 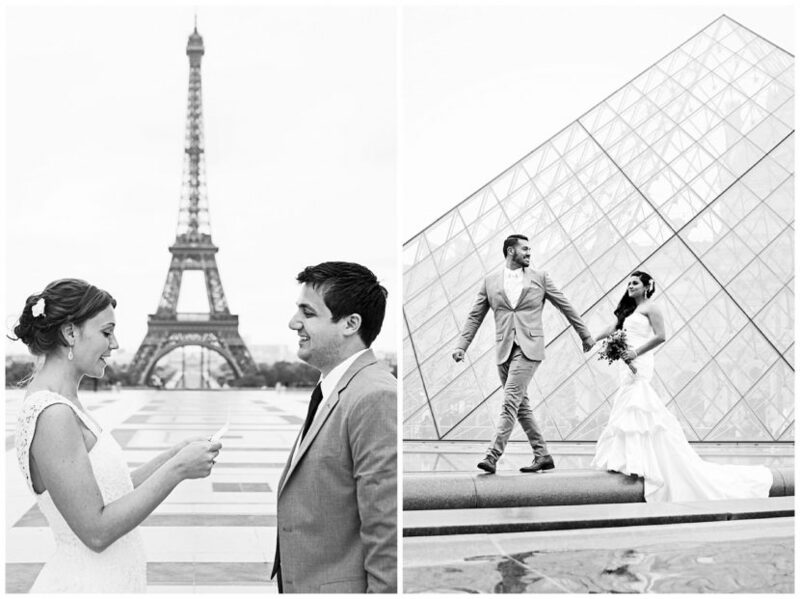 Tell me more about your elopement in Paris or Provence project here. Last days I have been sending the link and photos all around the world – photographies been seen in Australia, Canada, Algerie, Latvia, of course, France; I am so excited about the work you did! They are excellent!!! It was a pleasure to be together with you in our wedding day and for sure I will recommend you for our friends and people we know. So you’ve decided you wanted to marry your lover? How exciting! After getting the perfect engagement ring, the second thing you should carefully think of is: when and where will you pop the question? 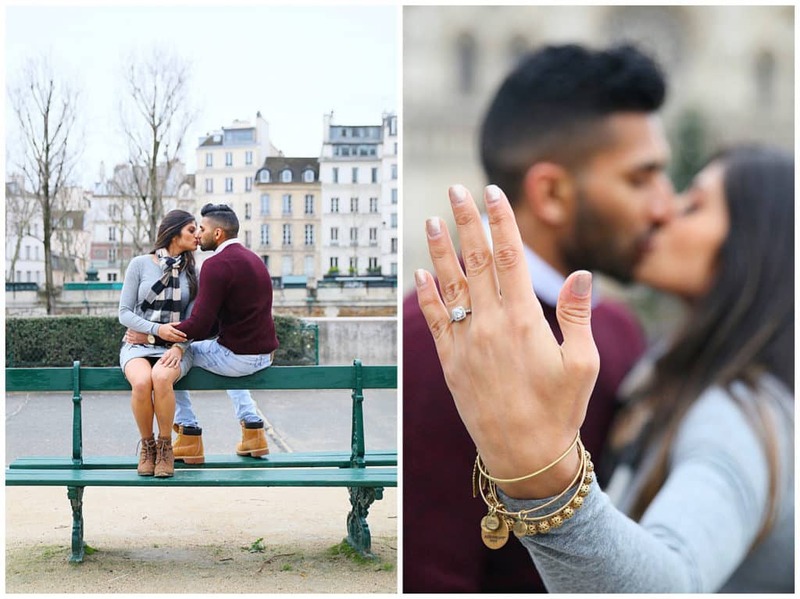 Paris being the city of Love and one of the most romantic places on Earth, it’s a popular proposal location. 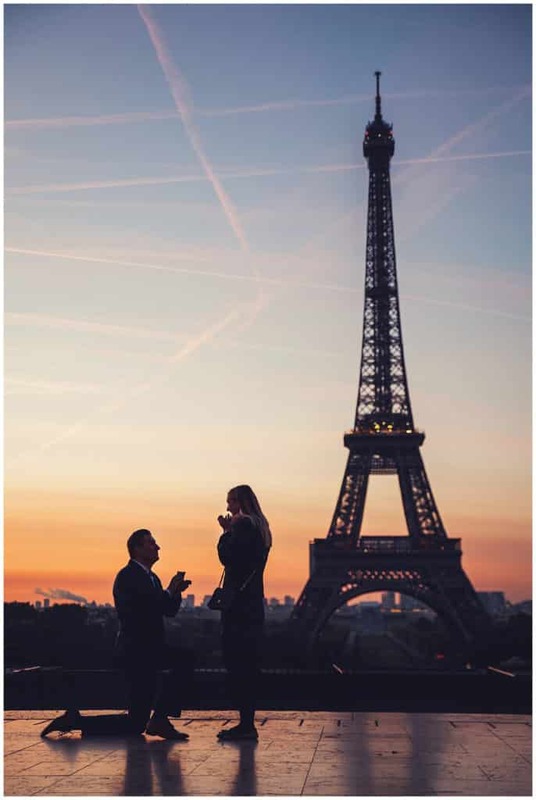 Once you’ve planned your trip to Paris with your other half, all there is left to do is choose the perfect moment to get down on one knee… The Eiffel Tower view is one of the most requested obviously, as it’s an iconic Paris landmark. The love locks bridge used to be quite popular too, but it’s not as picturesque now that all the locks have been taken away. 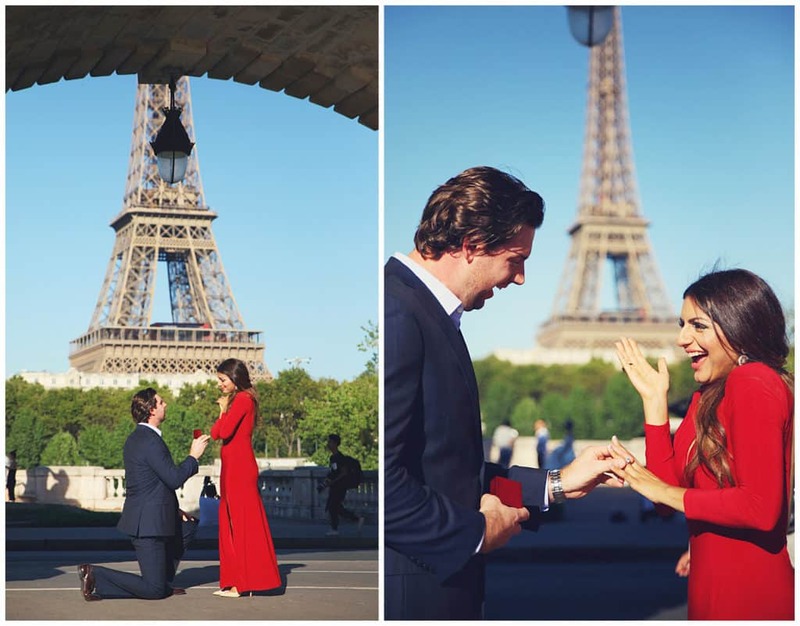 Of course, you could propose anywhere in the city, like on top of the Eiffel Tower or the Montparnasse Tower, by the Louvre pyramid, on the famous Alexander III bridge, by Notre Dame Cathedral, in the Tuileries Gardens, the Luxembourg Gardens or even in the Versailles Gardens. Marie was fantastic! I planned on surprising my girlfriend with a proposal on an early morning visit to the Eiffel Tower. Marie and I had communicated via email the days leading up to. Her prices were better than anyone else and she made the contract super easy and simple. She promised to be there ahead of time, hiding out to capture the moment perfectly. She delivered on everything. The moment was beautifully captured and the entire photo session was well done. Besides the tower, Marie let us walk around and even took us down to the river to get some great bridge shots. She had great ideas and captured the morning really well. We had a sneak peak of color and black and whites within a few hours, and we were able to see the whole session within a few days as promised. I couldn’t have asked for anything better; and of course the fiance loved it so that was what mattered most. If you need quality photographer and a good price, Marie is a great choice. Another very nice Eiffel Tower view is Bir Hakeim bridge, located over the Seine river. It's also popular so it can be crowded. In case of bad weather, it's also a great backup plan since the pedestrian path is covered. In Paris, you never really know... but I always do my best to be flexible and reschedule in case of bad weather. The Seine river runs accross the city and along several monuments, including the Eiffel Tower, the Louvre museum and Notre Dame Cathedral. 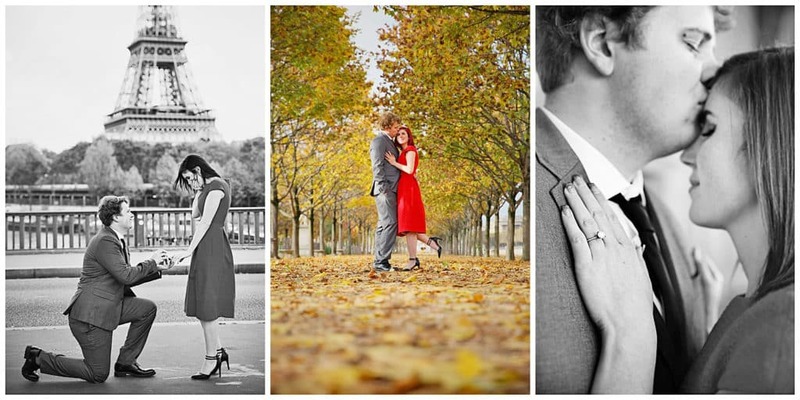 Some beautiful locations for engagement photos! 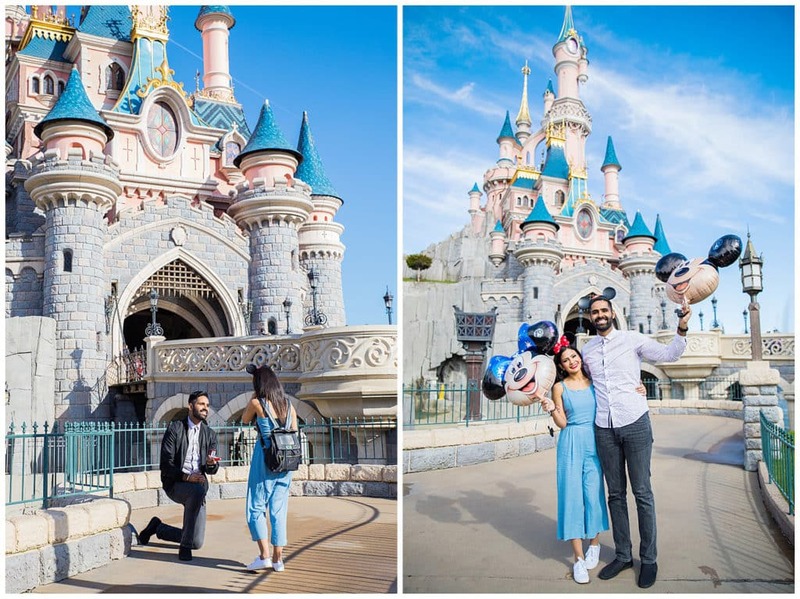 Some couples have a special story they share with a specific location... check out this proposal by the Sleeping Beauty Castle in Disneyland Paris! 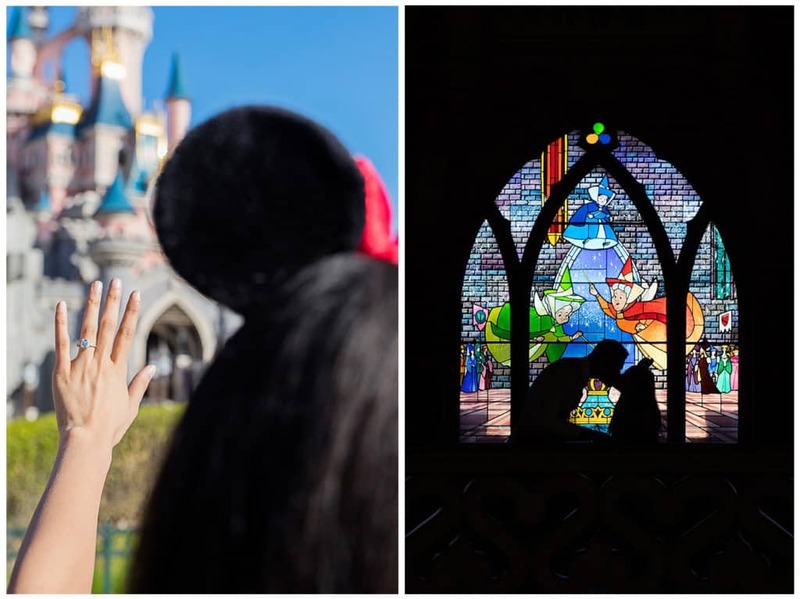 For big Disney fans, there's no better place to pop the question. 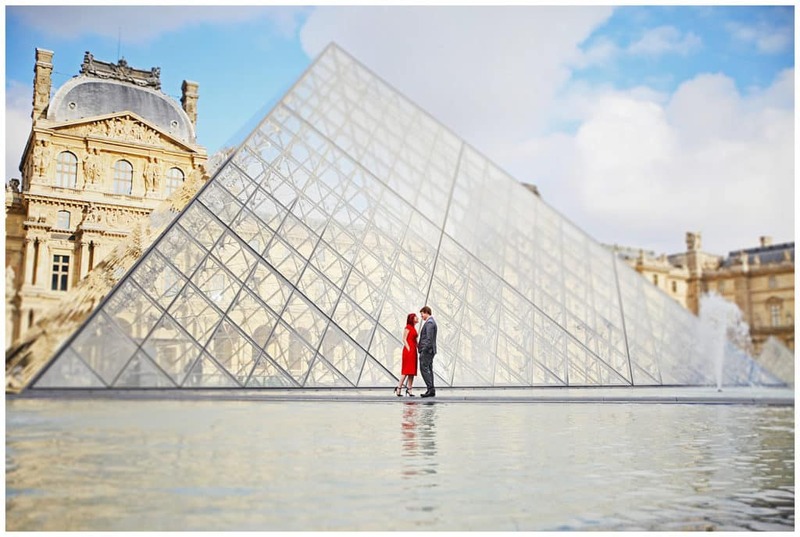 For anyone on the fence about proposing abroad in Paris and finding the right photographer for the job, look no further. I spent a couple of weeks researching photographers and emailing them back and forth and from the second I communicated with Marie, I knew she would be my pick. Not only are her packages the fairest I’ve seen, the entire process of working with Marie was an absolute pleasure and put me at ease for such a big occasion. 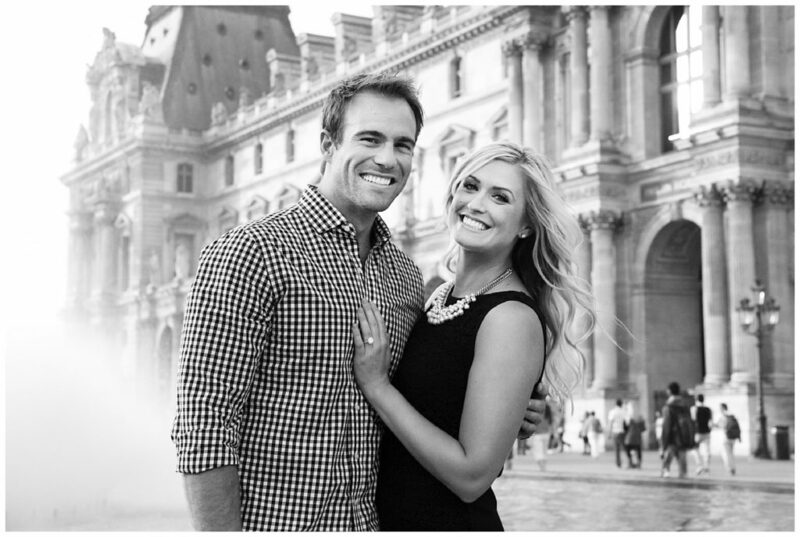 She’s quick to respond to emails and has a great deal of knowledge of where, when, and how to propose. On the day of the surprise, she was there, blending in and taking pictures. 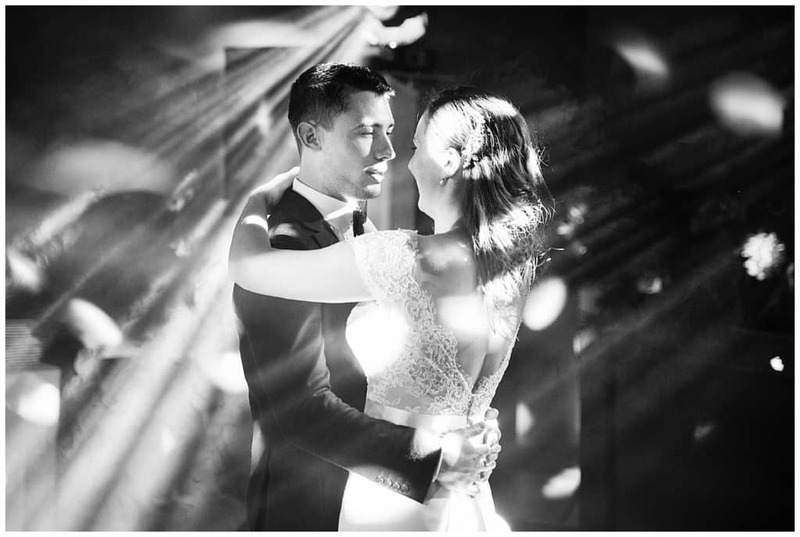 Her ability to capture that special moment, undetected, blew me away and the quality of the photos really made me glad I went through the process of hiring her for this job. The hour we spent with her after the big surprise was the most fun I’ve had taking pictures (which is something I really dislike). Seeing her smile as she captures a great shot of you and your fiancé translates into you smiling for every photo and enjoying the moment because you see that she truly enjoys what she does. Thank you Marie for a lifetime of memories!! Now fiancés, not only will you take precious pictures that will commemorate this special day, you will also enjoy a romantic moment together, just the two of you, to celebrate your love. 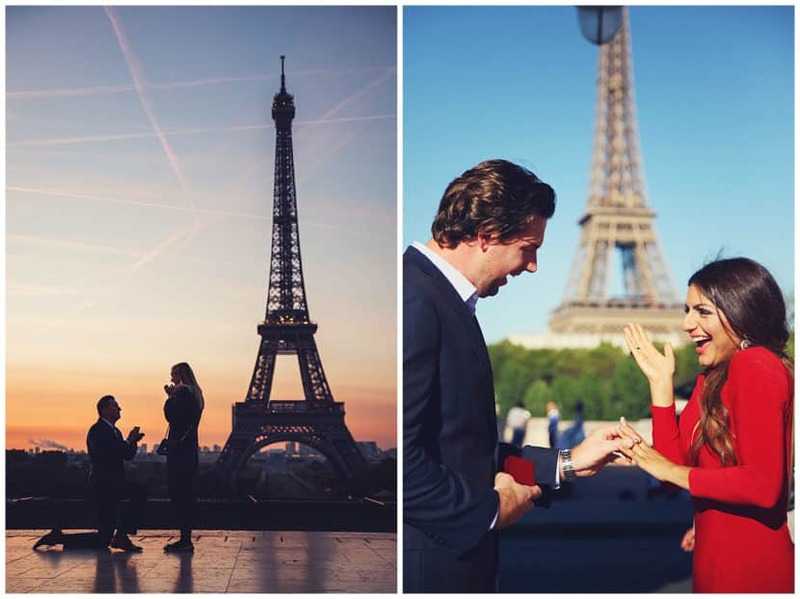 Of course, Paris is not the only beautiful place where you could pop the question! In such a beautiful country that is France, there are many options to consider: the Loire Valley castles, Normandy, the French Riviera, and Provence, where I am also based. I was lucky to capture this beautiful proposal below in the vines of Châteauneuf-du-Pape and love to make each marriage proposal unique to each couple. Can you imagine proposing in the middle of the lavender fields in Valensole? That's totally possible! Wow, I don’t even know where to begin with Marie. 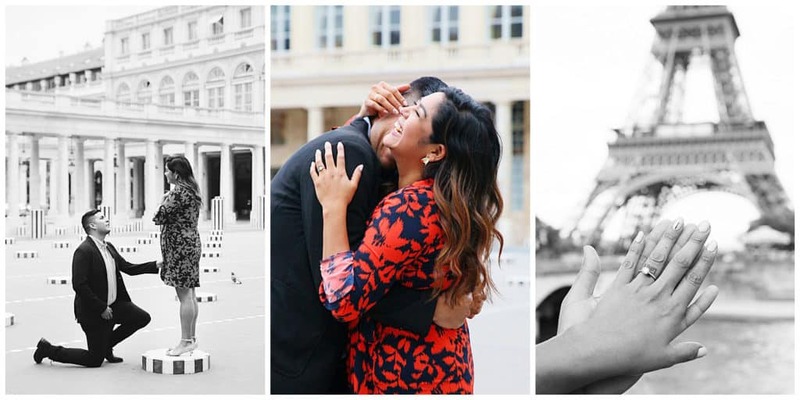 I decided I wanted to do a surprise proposal in Paris, I am from Chicago, and had no idea where to begin. After looking around for photographers Marie seemed like a perfect fit and I am glad I found her because she was able to capture the greatest moment of our lives. She helped me in so many ways, I was struggling with a sunrise setting because it is not easy to convince your fiance to be to wake up at 6:00 am on vacation and to wear a dress. Marie came to the rescue, she gave me some tips on what to say to convince my gf to wake up that early. In the end the photos were as amazing as the experience. Marie was quick to respond in emails, great at communication and gave wonderful guidance during the photoshoot. If I went back in time and had to do it all over again I would contact Marie the second I knew I wanted a photographer in Paris.